I have priced spray in bed liners from Topper King which is lifetime against separation and Linex which is lifetime as well. 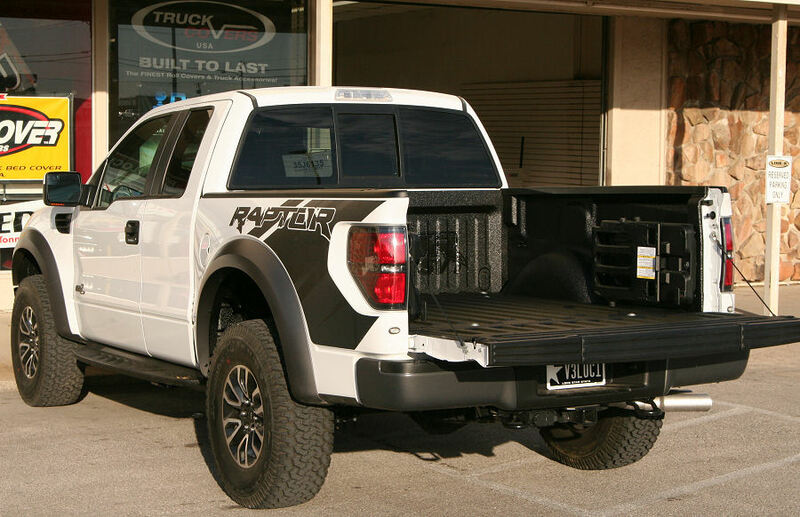 Does anyone have an opinion on which bedliner is the best to purchase? I don't want to have to be redoing it sometime down the road. I bet Topper King's bedliner is not a nationwide warranty, meaning if they close or change ownership, you will no longer have a warranty. The LINE-X warranty is a nationwide warranty. As far as the product itself, I think it's great, but I suppose others should voice their opinion. I've never heard of Topper King, but I would never buy anything but a Line-X, and even then, I would try to find out info about the dealer. How they do the installation is important. I'm thinking of doing a line-x down the road myself. TruckGasm: what is the difference between line-x premium and other products that they offer? is the composition different? Standard black LINE-X is aromatic, meaning it's sensitive to UV light from the sun and thus will lose its gloss and some color over time. Most bedliner companies offer an aromatic product as their base product. LINE-X Premium is aliphatic, meaning its not sensitive to UV light and is much color stable. LINE-X Xtra is an older product but is also aliphatic. Most truck color matched bedliners must utilize Xtra because Xtra can accept automotive pigments. Xtra is owned by LINE-X and DuPont. So, if you want a black bedliner, choose either standard black, black LINE-X Premium, or black Xtra. If you want a color other than black, chances are you will need LINE-X Xtra. Ok makes sense. I see the trucks that have the black liners that look faded and it bugs me. I keep my bed covered so thats not a huge concern but I'll look into the premium. Do it once do it right. I thought my husband had a dealer lined up until I found out today it was the Topper King dealer so I found the Line-X dealer and will deal with him. Thanks for this explanation, TG... clarified a few things for me too. I have been planning on getting a Line-X bedliner as soon as my truck comes in. But I just found out that there are no Line-X dealers/sprayers in Alaska. It looks like my only other options are Rhino Liner, Speed Liners, or Polar Guard Liner. Is Rhino Liner the next best option? I think there are...Anchorage, Ketchikan, not sure what others. What major city are you in or near? I'm in Anchorage. I called Line-X direct and they stated there were no current dealers anywhere in the state. If you search "Line-X Anchorage Alaska" in google, it will pull up Line-X Bedliners of Alaska. But the number is disconnected. I'm very happy I went with Line-X. Dropped the truck off, picked it up the next day and the installation looks perfect. Our dealer here is a small shop and the owner told me to bring it back if it ever chipped in any way and he'd take care of it. That kind of peace of mind is worth the expense in my opinion. Rhino liner isnt bad. The texture of it its different than Line X, but it is very durable and wont come off. It will however lose its color in a few years. I paid 375 for my Line X Premium and i am now a lifetime customer!